I love sweets in all their forms, but a treat all dressed up is my all-time favorite. So right now, I’m all-out gleeful about this little gummy bear makeover I concocted for the holidays. 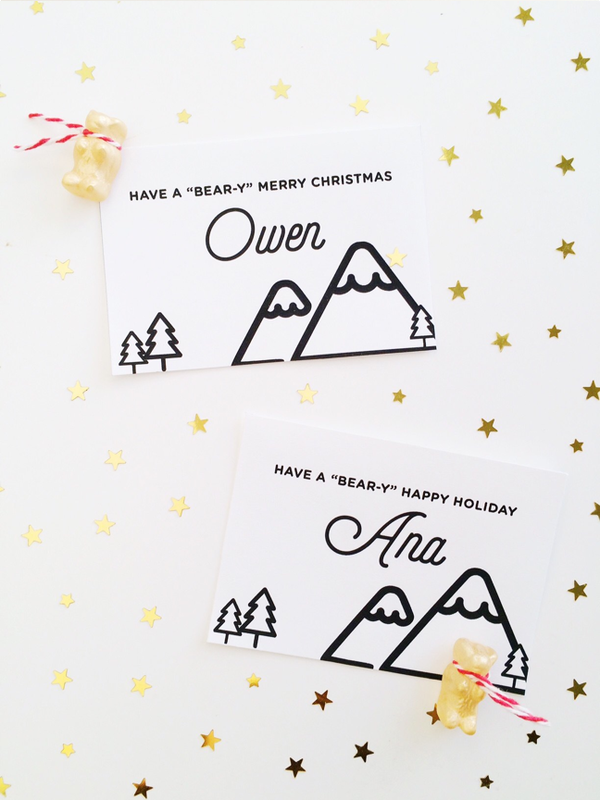 These DIY golden gummy bear Christmas cards are bound to knock the socks off each little guest at the kiddie table, but I have a feeling the grownups will love them, too. Of course, this kiddie craft wouldn’t be complete without some clever wordplay. So, whether you want to wish them a “Bear-y” Merry Christmas by mail or a “Bear-y” Happy Holiday by their plates, I’ve got you covered. 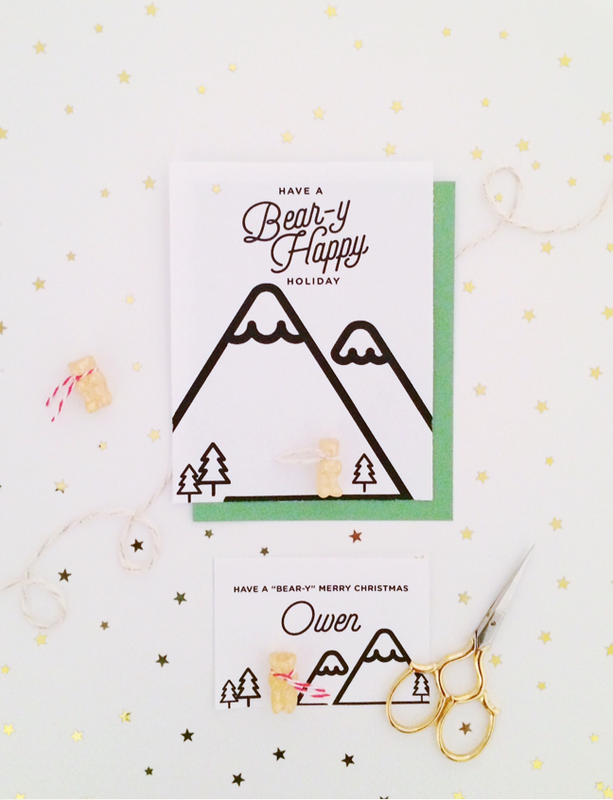 Step 1: Print your choice of holiday greeting card or place card. Using scissors or a paper cutter, cut just inside the guidelines of each card. Using a pen, neatly write the guest’s name on the place card. If you have a PDF editor, you can also enter the guest’s name using your favorite font. Set aside. Step 2: Pour a small amount of gold lustre dust into a bowl, and place several gummy bears on a clean paper towel. For the best gold effect, choose the clear or light yellow bears from the assorted bag. Using food-safe gold spray paint, apply a thin coat of color to each bear. Turn the paper towel to cover the bear from all angles. While the bears are still wet, gently brush the lustre dust onto each one. Make sure to apply lustre to the tops, bottoms, and sides of each bear. Set aside to dry. Step 3: Position your gummy bear(s) on the card in your desired location. Using a small hole punch, create two small holes directly behind where the bear’s neck lies. Step 4: Cut a length of twine, and feed it through the front of the card through one hole, behind the card, and up through the second hole. Place the bear back into position, and tie the twine into a bow around the bear’s neck. 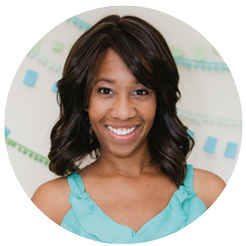 What to Do with Holiday Cards After the Holidays? We’ve Got the Answer.